Audioppophiles: Need new earbud suggestions that don't break the bank. I went to a high end stereophile store a long time ago when setting up my first surround sound living room. Their speaker packages began at $500 and peaked at $unobtanium. I listened to their 5.1 $500 set and I thought it was wonderful. Next, listening to an $800 set was like cleaning out the ear wax and I heard things I never heard before. That was my transition to In-Ear headphones. High-school for me was the tape-cassette walk-man era of head banded foamed on-ear. 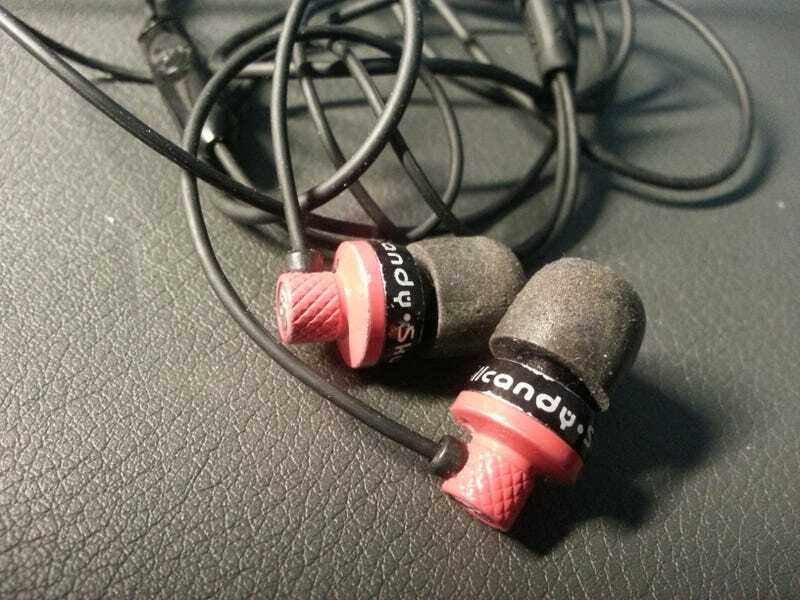 Over time there was the canal resting ear-bud style and then some better engineered over the ear clipped on -ear Sony’s that sounded alright but the whole time I knew there was baseless sound for decades. I picked up some Skullcandy Titans many years ago and the transformation was amazing. For $35 I thought it was impressive. The bass was deep from an 11mm metal driver and the mids and highs, I thought, so much more wonderful than before. And they were. I lost them after two years and bought a replacement (the picture above) and those have been great for another 18 months, until the right bud shorted out. Living in a pocket without the case does that. I know that great isolated sound can be had and the in-ear style is where to get it, at some points, over $1,000. Honestly, I know that Skullcandy Titan’s are NOT the best and I know there there’s PLENTY of better sound for the same price point, but there is such a mammoth volume of product out there and everything is either, “Too boomy and muddy highs” or ,”distorted on either end of the spectrum” reviews. Multi-driver breaks the bank. Internet has multiple places to read on $50 and under buds, all littered with product inferior to the audiophile. What I want to know, is what would a serious audiophile buy, if they had to budget $50-$70 knowing the wife would complain at anything towards that 70, and wanted to get clear sound from the whole spectrum. Music tastes from rock, electronic, to mid-range easy synth to occasional classical. I know a single solution is not ideal but were talking budgets here and the reviews are by snobs or people that just take the manufacturer word for it. The Titans actually sound good, but there’s better. Gimme the skinny.